Agave bracteosa is a species of agave sometimes known as “spider agave” or “squid agave.” It is native to the Sierra Madre Oriental of Mexico, in the states of Tamaulipas, Coahuila and Nuevo León. It is found on cliffs and rocky slopes from 900 to 1,700 meters. Small among the agaves, its green succulent leaves are long and lanceolate, 50-70 cm long and 3-5 cm at the base, where they are the widest. They have minute serrations (teeth) along the margins, but no teeth nor spine at the end. 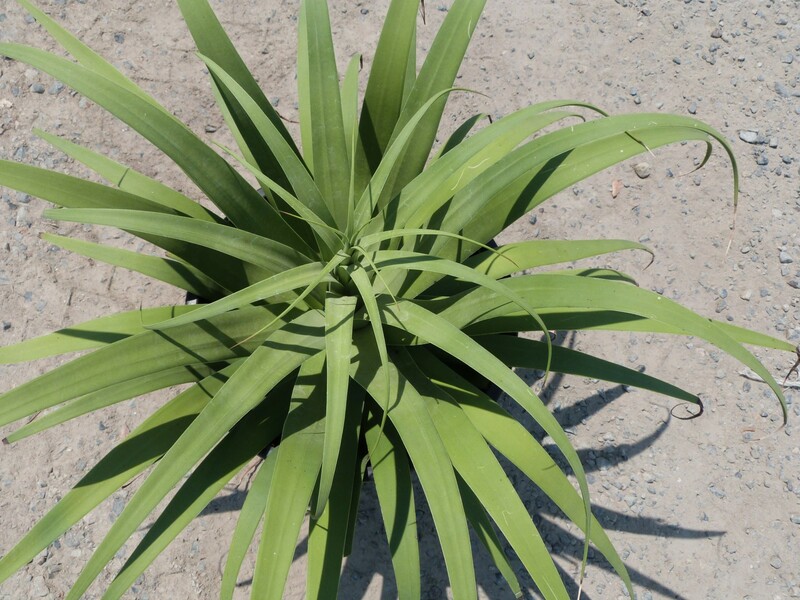 The leaves have a tendency to curl somewhat, in a fashion reminiscent of the octopus agave A. vilmoriniana. The inflorescence spike is also short at 1.2-1.7 meters, and its upper third is densely covered with white or pale yellow flowers. The flowers are distinctive in that tepals arise from a disk-shaped receptacle rather than the usual tube. The stamens are quite long.